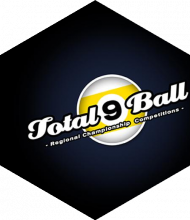 Total9Ball organised their first event back in 2010. Since T9B was established, we have had great success organising over 75 high quality tournaments, using over 15 different venues countrywide, collecting over 3000 match results and attracting over 400 players. Up and Coming events at a club near you! A selection of tournaments for everyone. Ranging from Rookies, Amateurs, Pros, Opens, Handicap, Scratch, One Day, Weekends, Low Entry Fee, High Entry Fee, Scotch Doubles and Team Events like the Amateur Nations Championships!